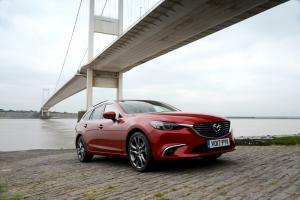 Mazda has always been one of the better manufacturers for regularly updating their products to keep them ahead of the curve, and for 2017 it’s the turn of the Mazda6 to benefit from a little fiddling. 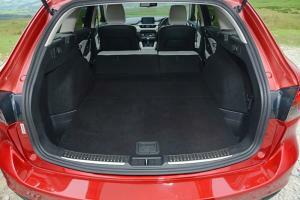 From the outside, you perhaps wouldn’t know anything has changed, save for a new Machine Grey metallic paint option and indicators built-in to the door mirrors, while on the inside there’s little more than a new steering wheel (heated on Sport Nav models) and some new trim to give the game away. 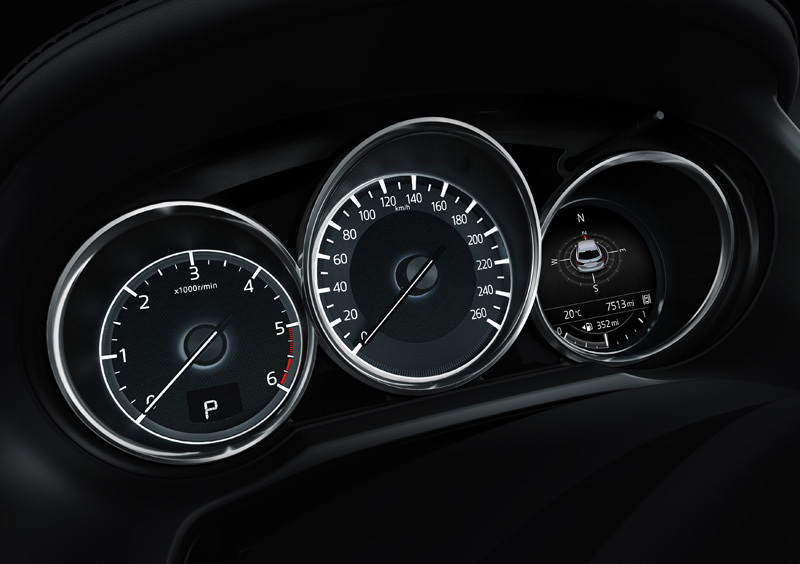 That’s because most of the changes are to things you wouldn’t necessarily notice at first glance, but the cumulative effect is far greater. 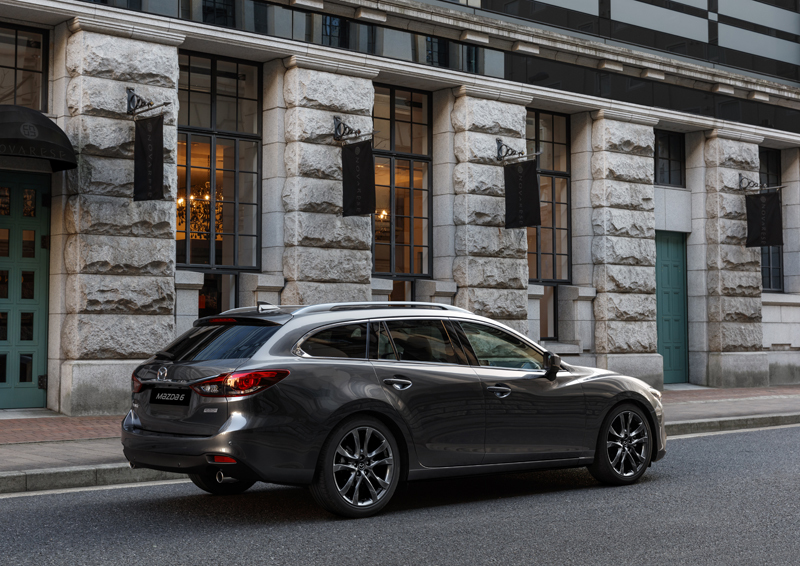 For instance, the Mazda6 has always been a well-made beast, but for this year the company has tightened up the panel gaps and improved the door seals, while also adding extra sound-deadening material in strategic locations and adopting laminated glass for the front side windows. 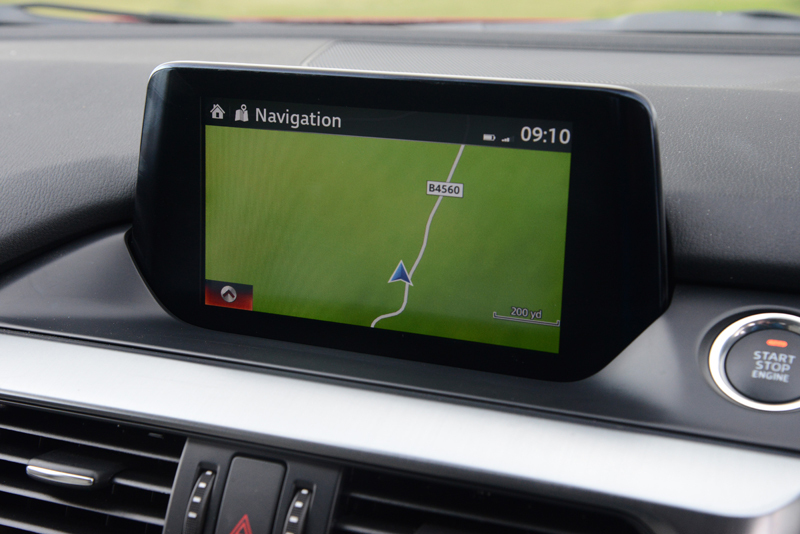 The head-up display now portrays more information – and in colour – such as lane guidance, cruise control, road signs and even blind spot warnings. 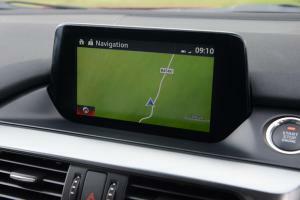 The various safety and driver aids have been upgraded, too, and now operate across a wider speed range thanks to a new forward-facing camera that replaces the previous laser set-up, with the optional £800 Safety Pack adding blind-spot monitoring, rear cross traffic alert, lane keep assist, driver attention alert and adaptive LED headlights. 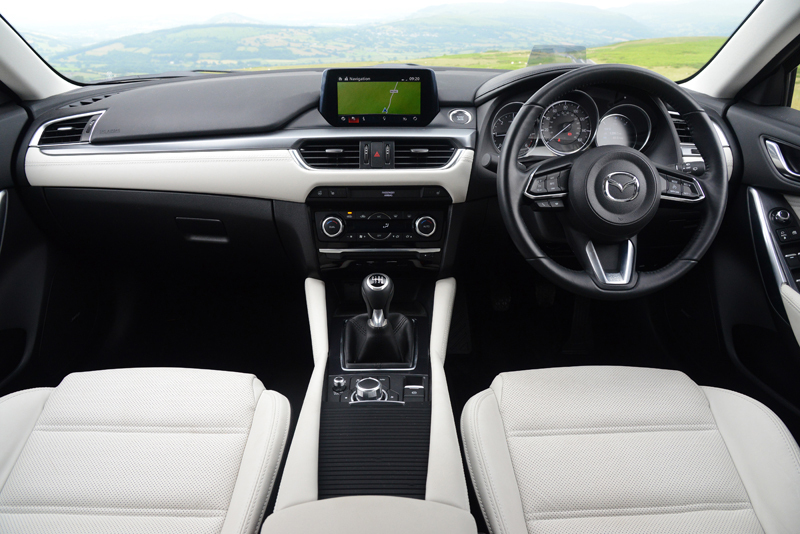 Mazda’s Radar Cruise Control can be added for another £800, although it’s a little clunky in operation and cuts out below 19mph rendering it ineffective in traffic jams. 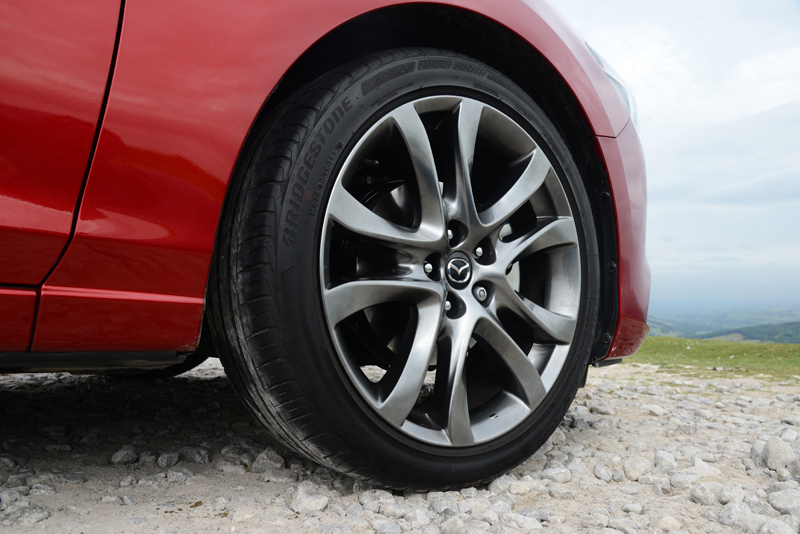 Perhaps the feature Mazda is most proud of is also the hardest to explain: as fitted to the 2017 Mazda3, G-Vectoring Control (GVC) partially reduces engine torque as the driver turns the wheel to steer into a corner, with the resulting weight transfer leading to increased load on the front tyres and therefore more responsive turn-in. 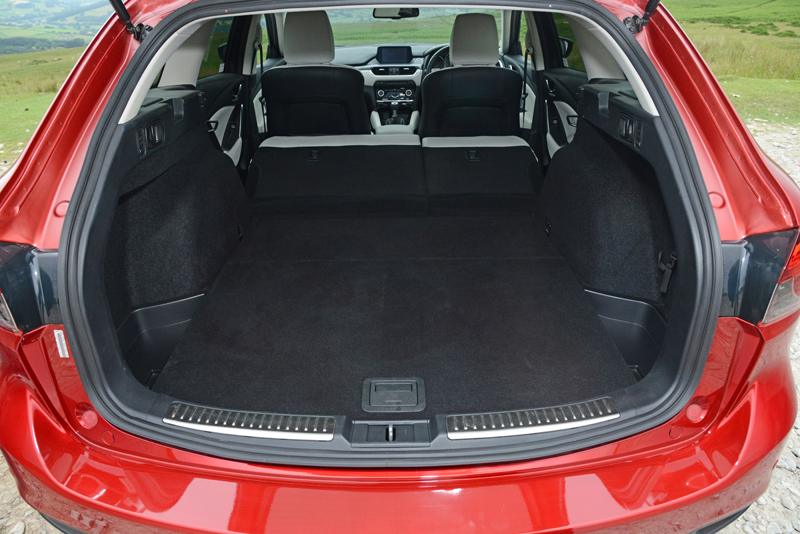 As the driver maintains a constant steering angle through the corner, engine torque is restored, thereby transferring more load to the rear wheels to promote stability. 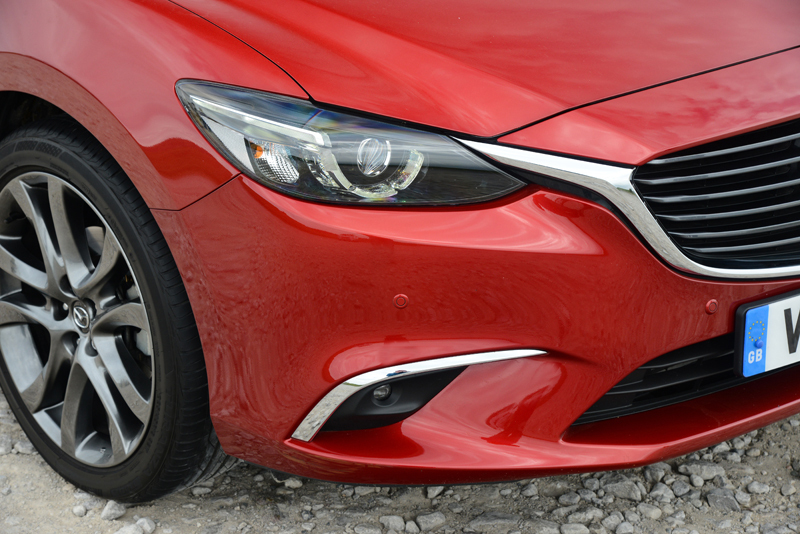 While on the face of it that sounds like a recipe for a car that slows down as it makes a turn, in practice the system is almost imperceptible. 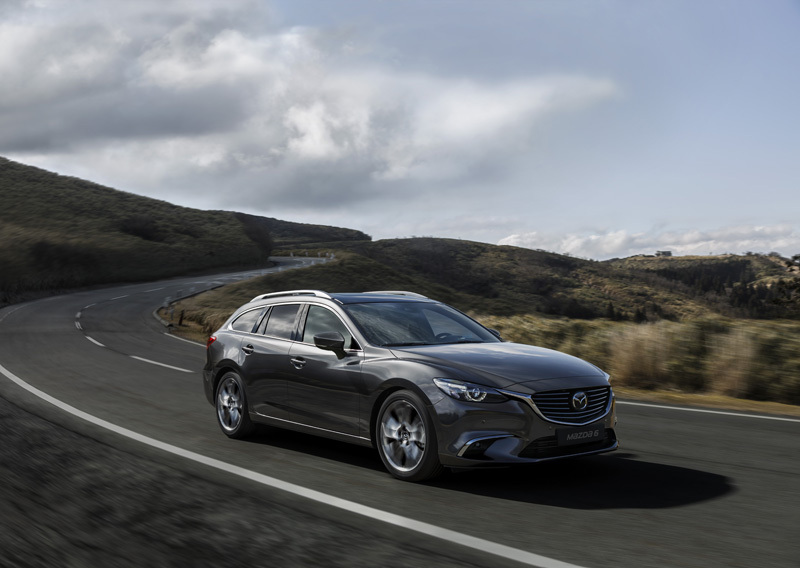 Mazda claim it leads not only to more engaging handling but also increased comfort, citing a reduction in g-forces acting on the occupant’s bodies. 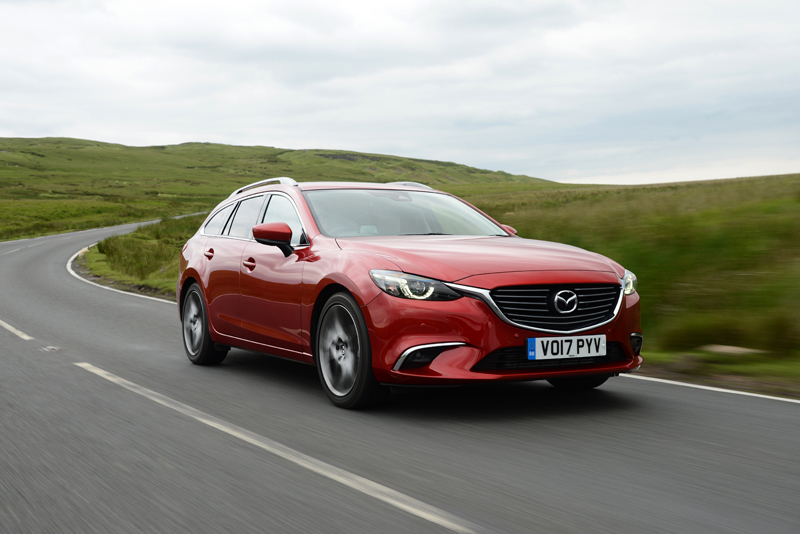 Whether that’s true or not is difficult to ascertain without significant back-to-back testing, but what we can say for certain is that the new Mazda6 offers confidence-inspiring road-holding that allows you to make spirited progress without upsetting your passengers. 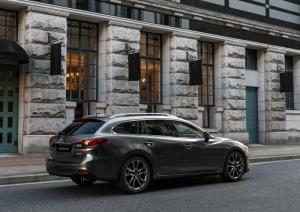 The engine range is much as before, with 2.0-litre petrol units of 145 and 165PS, plus a pair of 2.2-litre twin-turbodiesels of either 150 or 175PS. 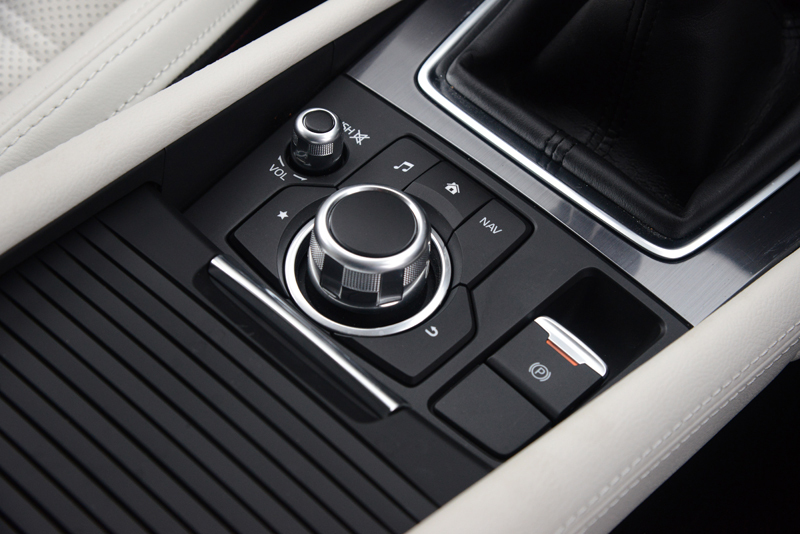 The latter now feature finer adjustment of boost pressure and fuel injection patterns to enhance throttle response under light loads, as well as various measures to dampen vibrations in particular frequency bands in order to transmit fewer harsh noises into the cabin. 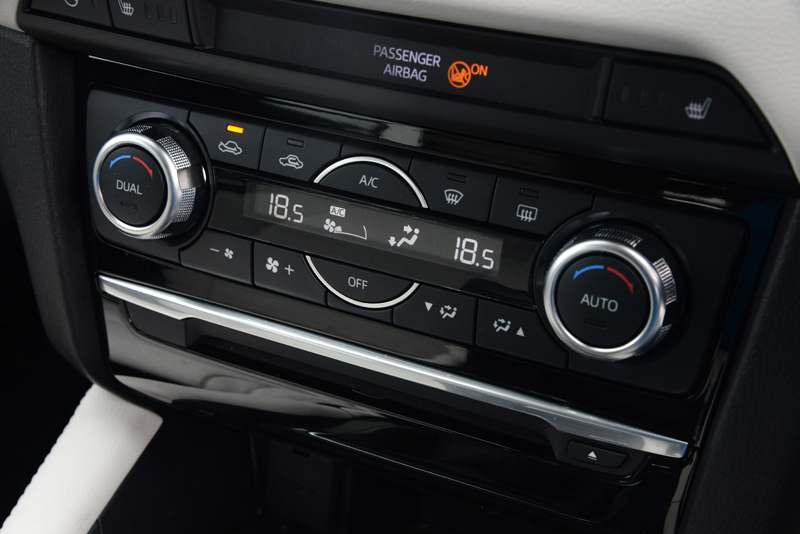 As far as we’re concerned, both diesels are an absolute peach, but it’s a shame the petrol units can’t match their sense of urgency. As the Government ramps up efforts to prise us away from diesel, car manufacturers will have to ensure their petrol engines are up to snuff, and as efficient as Mazda’s 2.0-litre units are, they don’t offer the same accelerative surge anyone stepping out of a turbodiesel has grown used to. 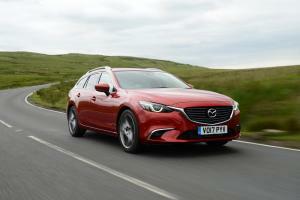 Maybe the excellence of Mazda’s diesels has spoiled us, because even mated to the somewhat old-school six-speed automatic, the Mazda6 offered up an engaging and responsive drive during a week’s testing that also saw it notch up an average of 42.5mpg. 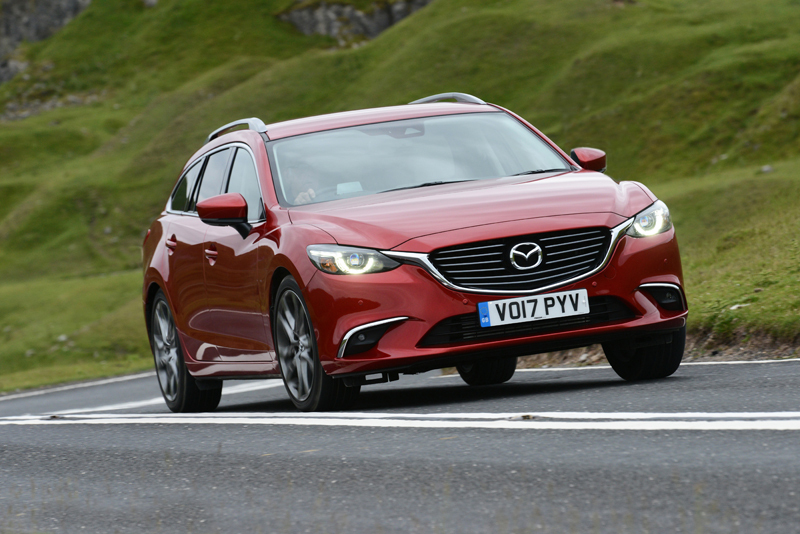 It always felt calm and serene, too, and although concrete motorway surfaces can cause the 19-inch tyres of our Sport Nav model to kick up a bit of a roar, the Mazda6 thinks nothing of tackling a 500-mile round trip (we know, we checked). On top of which, all the traditional Mazda6 strengths remain, so that means generous cabin space for all, a wide range of adjustment in the driving position, the company’s excellent MZD Connect media and navigation system, quality switchgear that’s a pleasure to use, and a multitude of practical touches that all add up to make life easy – we’re particularly fans of the Tourer’s cargo cover that attaches to the tailgate so as to lift out of your way automatically. 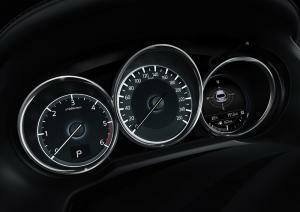 Despite the improvements, Mazda has resisted the urge to bump up the prices. 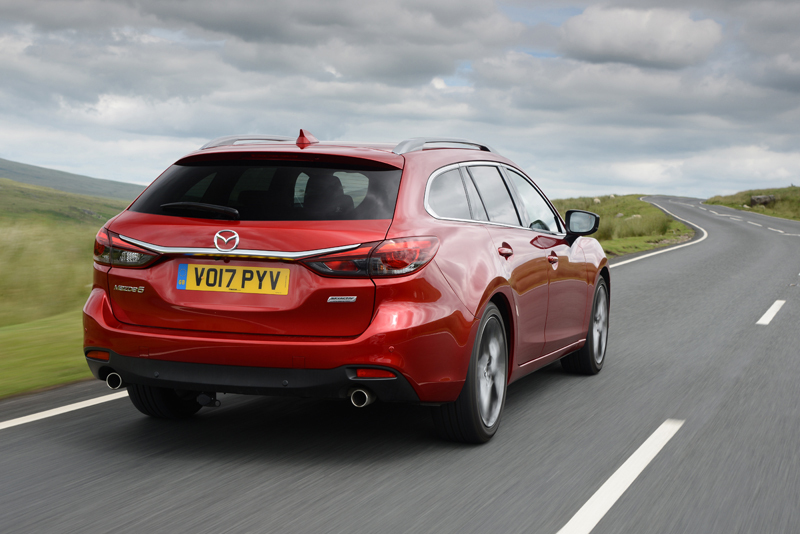 That means a saloon can be yours for £19,995, a Tourer estate for £2,830 more, while our range-topping Tourer 175 Sport Nav Auto clocked in at £31,455. 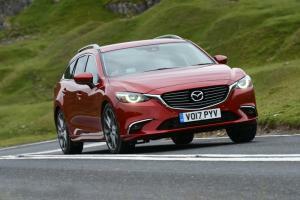 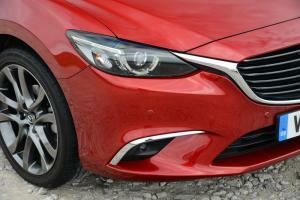 For some time now, the Mazda6, particularly in wagon form, has been our segment favourite. Thanks to these changes, it still is.